Fans of ‘This Is Where It Ends’ and ‘One Of Us Is Lying’ are going to love this young adult thriller. Told through six different points of view, readers are kept guessing as to who the bomber is up until the very end. Each of the characters had their own distinct personality and reason for being in the school when the initial bomb gets detonated. Obviously, that makes everyone a suspect since everyone is hiding something from the others in the group. I liked trying to work through each character’s mindset and situation to try to pinpoint what each of their motives would be to blow up their high school. I only definitively figured out who the bomber was about a chapter or so before their identity was revealed. The synopsis on the back of the ARC and the synopsis that is posted on Good Reads varies slightly. The ARC version suggests that it is possible that the bomber is actually one of the characters whose point of view we have been reading from, and although I won’t give away who the bomber actually is, I was satisfied with how their identity was slowly revealed. 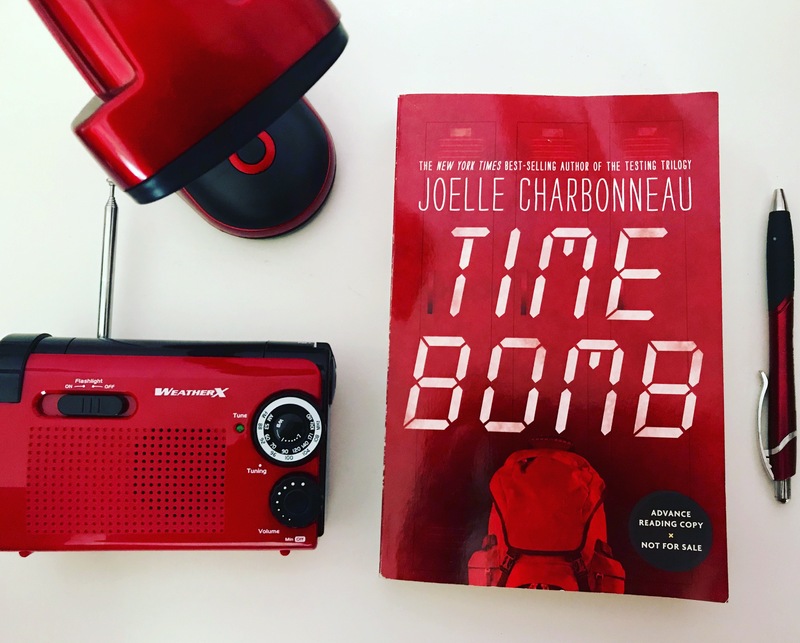 While I felt that I was waiting impatiently for the first bomb to go off, I thought that all of the exposition leading up to that point was necessary in order to let us readers get to know who the characters were when they weren’t smack dab in the middle of a deadly and dangerous situation. Overall, I really liked all of the characters and felt that the book flowed together extremely well. I definitely recommend that you all preorder it, because it comes out on March 13! I received this book from Houghton Mifflin Harcourt in exchange for an honest review.